Our consumer apps are specifically designed for each industry so our clients can sell products and services directly to their target market. Your software panel will have all the tools you need to market your products and services and keep your company’s portfolio image and video gallery up to date. You can offer special deals & packages and get estimate requests, send estimates and invoices. 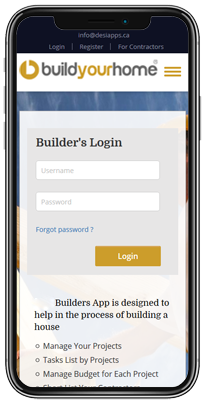 Build your home app is designed to help home builders to build new homes and home owners to renovate their home with easy to follow steps. Local contractor’s directory is attached to this app, so they can view your work portfolio and shortlist your business to communicate with your software panel. Get estimate requests (Job orders) from them, send estimates and invoices from your panel to their planning app. 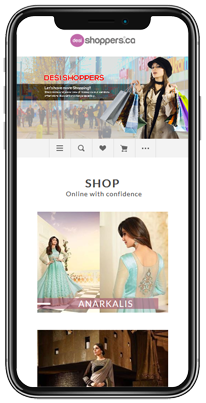 Plan your wedding app is designed to help couples to plan their dream wedding with easy to follow steps. 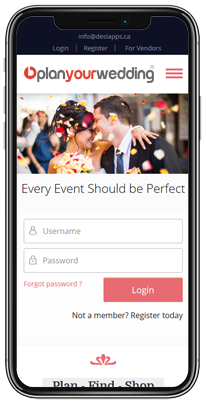 Its free app for them to sign up so every couple who is getting married can take advantage of easy to use software to connect with your software system. Through your software system you can get estimate requests (Job orders), send estimates and invoices from your panel to their planning app. 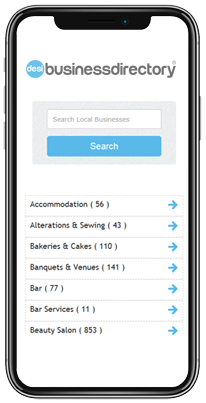 OB Business Finder app is an online directory which helps consumers to find local services providers for their upcoming projects or events. They can Shor list service providers by viewing their company’s portfolio and make their own directory for their future use. Get estimate requests (Job orders), send estimates and invoices from your panel to their OB apps.